During the high-level stakeholder conference ‘EU Vision for a Modern, Clean & Competitive Economy’ to help prepare the EU Strategy for long-term emissions reductions, EPF Chairman Dott. Paolo Fantoni urged Europe to embrace three concepts that could contribute greatly to the prevention of climate change: broadening the cascade use of wood, implementing the waste hierarchy and developing extended producer responsibility. These practices are increasingly at the core of the wood-based panels industry, which is recognised as a leading example of the Circular Economy and a key driver towards achieving the goals of the Paris Agreement. Dott. 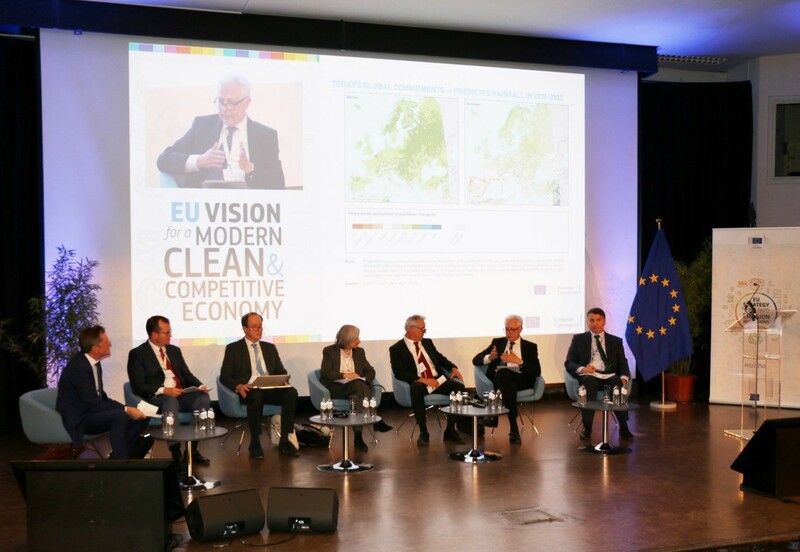 Fantoni shared the podium with former French Prime Minister Fabius, President of COP21 and architect of the Paris Agreement, EU Commissioners Cañete, Bieńkowska, Katainen and Šefčovič, as well as European Commission Director-Generals Ristori and Petriccione and other stakeholders.